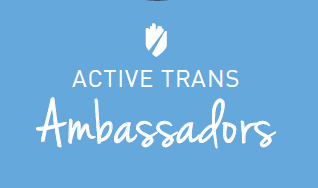 WHAT DO ACTIVE TRANS AMBASSADORS DO? If you’re someone who is excited about helping to make our region a better place for walking, biking and transit, you might enjoy serving as an Active Trans Ambassador. 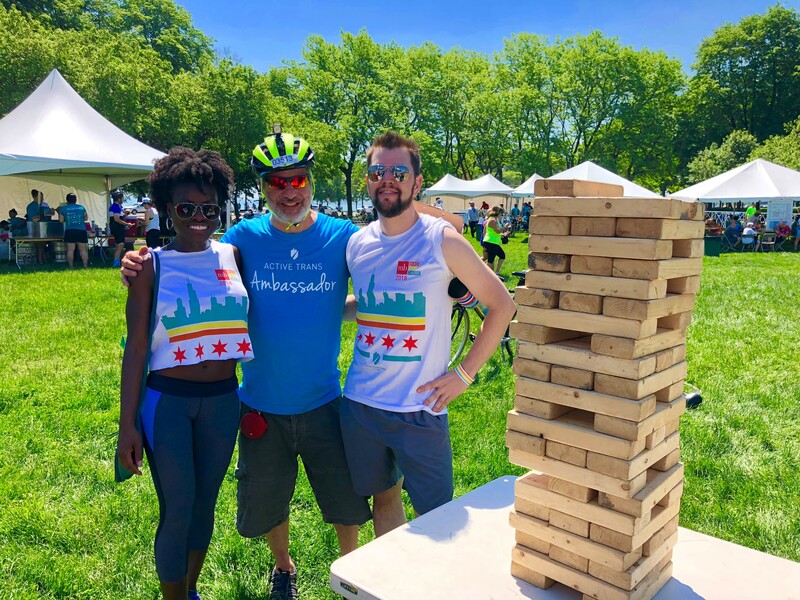 Active Trans Ambassadors represent the Active Transportation Alliance as volunteers at events in Chicago and the suburbs. Anyone can become an ambassador! You help us spread the message about walking, biking and transit advocacy, inspire others to join the movement and promote healthy transportation options to residents throughout the region. To become an Ambassador, you’ll attend one of our evening training sessions. Trainings are held at the Active Trans office in downtown Chicago (35 E. Wacker Drive, Suite 1782, Chicago, IL 60601). Those who go through the training will be given a special, limited edition Active Trans Ambassador t-shirt. Trainings will be offered at least three times per year. General Interest: Let us know if you’re interested in hearing about future training dates as they are scheduled. Volunteer at events: Represent Active Trans at events and encourage event attendees to take specific actions (e.g. sign a petition, fill out a survey, etc.). We’ll give you talking points and materials. Attend events in your own community: If you are aware of a popular event in your community such as a farmers market, health fair or public meeting, you can ask the organizers if you can represent Active Trans as an ambassador. Past Ambassador event opportunities have included MB Bike the Drive, food truck festivals, media appearance on Jam TV, South Branch Park Advisory Council’s Summer Party, Logan Square Farmers Market, Riverside Beer Fest, One Earth Film Festival, Transportation Justice Dialogues, our Bike Week Rally and many others! If you’ve already gone through the training, join our Ambassador Facebook Group. When you represent Active Trans at an event, please take photos and tag us (@activetrans, #chiLFT, #bikechi)! We primarily use Twitter and Facebook. You can also find us on Instragram! We’d love to hear from you. With general questions, please contact any of the staff listed below. For Chicago River Trail events, please contact Steve Simmons, steve@activetrans.org.